We all love to use Facebook to share with our friends and family what we’re doing and to capture memories. But we need to be careful not to share too much when discretion and privacy are called for. That’s where Facebook privacy settings comes in. more secure, and more difficult to crack? Why? Because it has one more character than the other one. What makes a password more or less secure? The point of this article is that stronger passwords don’t have to be confusing. but by adding some “padding characters” you can make your password memorable yet much more secure. (Please don’t use all periods, again be creative). You’ve probably heard that you shouldn’t use your birthdate or children’s names or other personal info as your password. By themselves that would be an easy password to break. But what if you applied this article to your easy to remember password? Even if you knew that I like to use my son’s name as my password, you still could not guess what my password is. Leave comments below along with your ideas. And go change those passwords right now! Click here for the article I read. Today I’m looking at FileVault 2 a great security tool included in Mac OS X Lion. I’ll also show you how to encrypt a USB or external hard drive with FileVault 2. * Be warned that if you encrypt a USB drive, Mac OS X Snow Leopard and below will not be able to read it. Mac Tip- FileVault 2 and Encrypting USB Drives from Arlen Nagata on Vimeo. After upgrading to Mac OS X Lion, you probably have noticed that the mouse scrolls the wrong way. This is Apple’s new “Natural Scrolling” behavior. Try it for a week, you might like it. If not, here’s a simple way to change it back. Quick Mac Tip- Reverse Scrolling in Mac OS X Lion from Arlen Nagata on Vimeo. We’re all not getting any younger, unfortunately. And that means our eyes like to look at things that are legible and don’t strain the eyes. Mac OS X Lion just added higher resolution cursors which means we can now make our mouse pointer bigger without losing quality. Quick Mac Tip- Change the Mouse Pointer Size in Lion from Arlen Nagata on Vimeo. I will be hosting a periodic Photoshop night where you can bring your photos and we will help you retouch them, remove backgrounds, add effects, and more. While we help you with your projects, we will be teaching you the techniques we’re using. 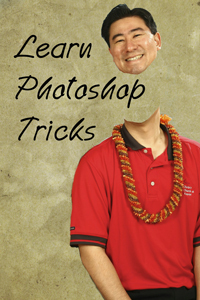 If you are familiar with Photoshop, come and assist others. Finder is a great file management program on your mac. If you’re like me and you come from the land of Windows, Finder has different options that you may appreciate, but you must learn about the different finder views. Here’s this week’s Quick Mac Tip! QuickTip-Finder Views from Arlen Nagata on Vimeo. Have you ever wanted to combine a few video clips for a presentation? Let me show you how I do it. Your comments and suggestions are also welcome. Arlen’s Mac Tips- Combining Video Clips from Arlen Nagata on Vimeo. Today, I want to show you how to customize the Address Book on your Mac so it fits how you want to use it. Hope you enjoy this week’s tutorial. Arlen’s MacTips-Address Book from Arlen Nagata on Vimeo. Editor’s Note: I have decided to focus my blog on answering your questions and Video Tips. I might dabble into WordPress tips from time to time, but my focus will be on Simple Videos to help you use your Mac more efficiently. As always, send if your questions via email, facebook, or call me. I’m more than willing to answer your questions.